In all honesty, when I set out to make this curry on a very busy weekday evening, I had no idea how quick it would be. I improvised as I went along and was very pleased with the result. 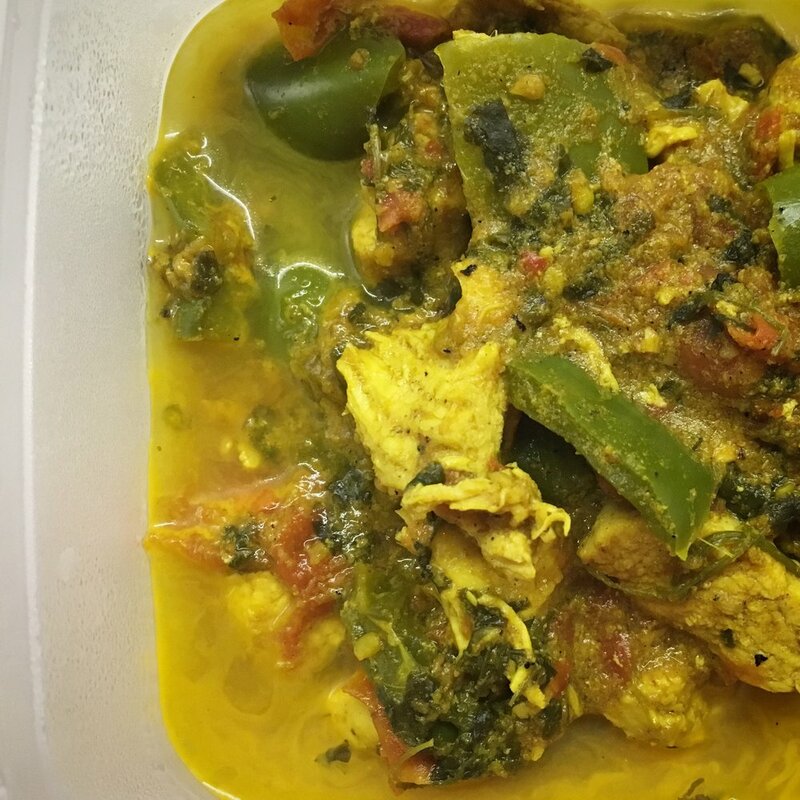 This is a really easy chicken curry recipe, so don't be afraid to give it a go. It's healthy and high protein too! You can give this dish more flavour and body by adding a large finely chopped onion after you add the ginger and garlic, and sautéeing it till it turns golden brown. When you add the tomatoes after this, cook stirring frequently, until the oil separates. Then add the peppers and other ingredients.